The online registration for the merit based undergraduate courses in University of Delhi has concluded today after it was extended for one day. 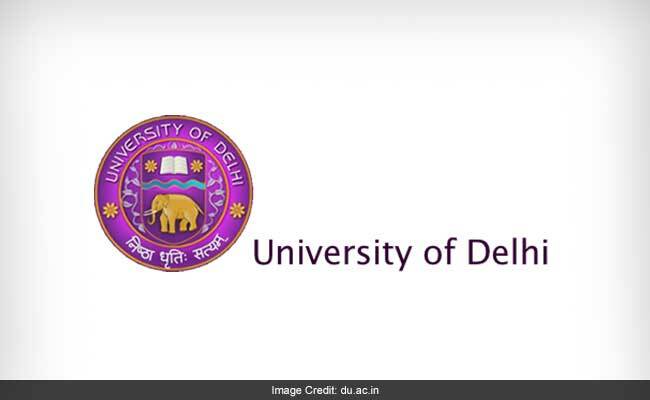 New Delhi: The online registration for the merit based undergraduate courses in University of Delhi has concluded today after it was extended for one day. More than 3 lakh candidates have registered for more than 60,000 seats in Delhi University and the university is expected to release the first cut-off for the merit based courses by June 20. According to a latest update from the university website, the ECA preliminary trails will be starting on June 17. Schedule will be displayed soon. Meanwhile, an official confirmed to NDTV that the entrance based undergraduate courses registration may start on this week only. As it stands in the last moments of the registration, more than 3 lakh students were able to register for the merit-based courses while only 2.25 students candidates were able to complete the fee payment process, added the official. Last year, the number of applications (both online and offline) received by DU for over 60,000 seats had crossed 3.4 lakh even as the deadline for the same was extended to three more days till June 19, 2016. As of yesterday evening, much preferred courses among the lot this time were BA (Hons) English with 1,24,220 registrations, 1,04,975 for BCom, 1,34,847 for BA and 95,497 for BA (Hons) Political Science. Most of the applicants belonged to Delhi (1,20,514), Uttar Pradesh (62,024), Haryana (38,702) and Bihar (10,783). ECA preliminary trails schedule will be displayed soon on the official website.